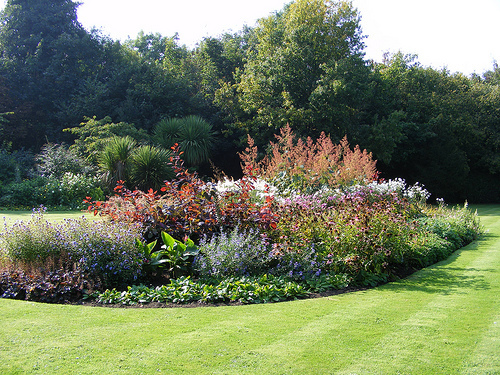 Oak Park demesne is situated about 3km north of Carlow town, Ireland. Once the home of the Cooke family, Oak Park Estate was purchased by Henry Bruen in 1775. Bruen had made a fortune in the army commissariat in America where he was responsible for the supply of food and forage, for the troops. Bruen also purchased other land around Oak Park and by 1841 a survey showed the Bruen estates extended to over 8,000 hectares in Carlow. Oak Park was home to the Bruen family from 1775 until 1957. The last Bruen to live in Oak Park, also Henry, died in 1954. His wife had left him several years earlier to live in Galway with Milo Petrovic-Njegos, a Montenegrin Prince. She was left nothing in his will. His daughter, and only child, Patricia who was born in 1914 had married Mervyn Boyse of Wexford. Bruen did not approve of the marriage. As a result he left her a weekly income of £6 for life. He left the remainder of his estate to his cousin in England. Patricia contested the will and the High Court but it was agreed to sell the estate in 1957 and divide the proceeds equally. Patricia later lived at Ballybrack in Dublin. The estate was purchased by Brownes Hill Estates for £50,555. However due to objections from local farmers the estate was purchased by the Land Commission in 1960. The Land Commission divided seven hundred acres of the estate among farmers. The remainder of the estate and Oak Park House became a research centre for the Agricultural Institute (Teagasc). 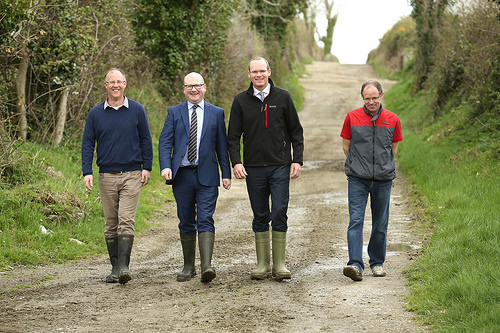 The Agricultural Institute was established with the assistance of funds from the Marshall Plan through which Ireland received over $146 million. Today Oak Park is the national headquarters of Teagasc where a Plaque in the reception area records the impact of the Marshall Plan on Ireland. In 2006 Teagasc gave over 120 acres of woodland near the Oak Park lake to Carlow local authorities. This has been developed as an amenity with boarded walkways stretching for several kilometres through the forest. It is a popular recreational attraction for both locals and tourists. The Oak Park Estate in Carlow was auctioned in the year 1957 On This Day. 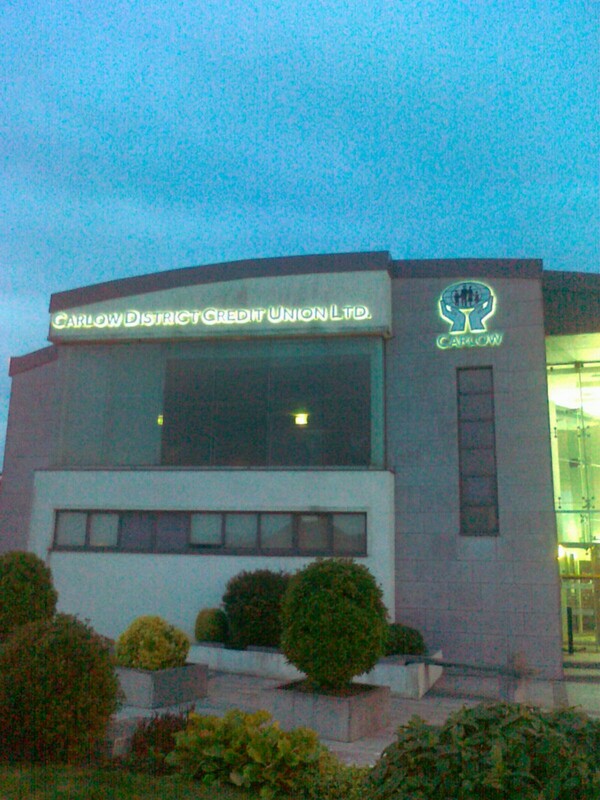 The Credit Union in Carlow town, Ireland is based in Credit Union House, Askea, Carlow. It is one of the largest community based credit unions in Ireland. Founded over 50 years ago it now has around 40,000 accounts and shares of over €55 million. The first urban credit unions were founded in Germany in 1852 but it was not until 1864 that the first rural credit union was founded by Friedrich Wilhelm Raiffeisen in Heddesdorf in western Germany. Credit union’s gradually spread to other countries and the first one was established in Ireland in Dublin in December 1953. The credit union movement spread quickly to all parts of the country. Today in Ireland over 2.9 million people are credit union members and have savings approaching €11.9 billion. Ten years after the establishment the credit union in Dublin a credit union was established in Carlow town with 15 volunteers and a total fund of £15. The original credit union operated out of rooms in the C.Y.M.S (Catholic Young Men’s Society) hall on College Street before moving to the Presentation Schools on Tullow Street. In 1966 a building on Burrin Street was purchased. The Credit Union continued to grow and by the 1980’s the building had been renovated and transformed to meet the growing demand for its services. It changed from a one room operation to a building with a large public office and several other offices. The building on Burrin Street eventually became unsuitable to meet the needs of the rapidly growing credit union community. In 2004 Carlow credit union moved to new purpose built offices on the Staplestown Road which were opened by John Hume. John Hume, one of the architects of the Good Friday Agreement, was a founding member of the Credit Union in his native city of Derry when he was working there as a teacher. At the age of 27, in 1964, he became the youngest ever President of the Irish League of Credit Unions. Duckett’s Grove lies a few miles east of Carlow town, Ireland. Situated on what was once a 5,000 hectare estate it was the home of the Duckett family during the 18th, 19th and 20th Centuries. Duckett’s Grove House was destroyed in a fire on April 20th 1933. The ruined gothic style mansion, with its walled gardens and surrounding grounds were purchased by Carlow County Council in 2005. Though the house remains a ruin extensive restoration has been carried out. The walled gardens and pleasure grounds are now open to the public and have become a major visitor attraction. In the late 1600’s the Duckett family purchased land in Carlow, on which they later built a large two-storey house. In the early 1800’s John Duckett employed Thomas Cobden to update the house in Gothic style. Cobden designed many public buildings, private residences and churches in the Carlow/Wexford area including Carlow Cathedral. 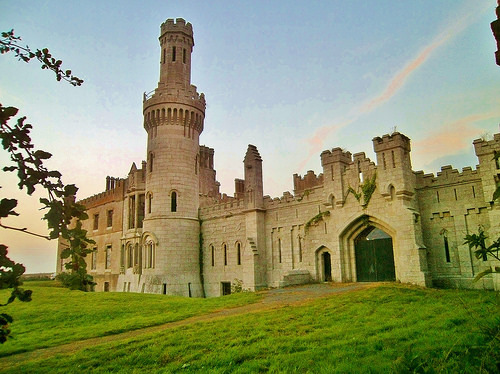 As a result of Cobden’s work Duckett’s Grove was transformed into a Gothic revival building. It has several towers and turrets varying in shape and size which have recesses containing statues. In 1908 William Duckett, the last male of the Duckett family died. His wife and her daughter lived at Duckett’s Grove until they moved to Dublin in 1916. The estate, for a time, was managed by an agent. It was eventually bought by the Land Commission and the land divided among local farmers. In 1931 the house and surrounding grounds, extending to about 5 hectares were bought by Frederick Thompson of Hanover Works (Thompson Engineering). 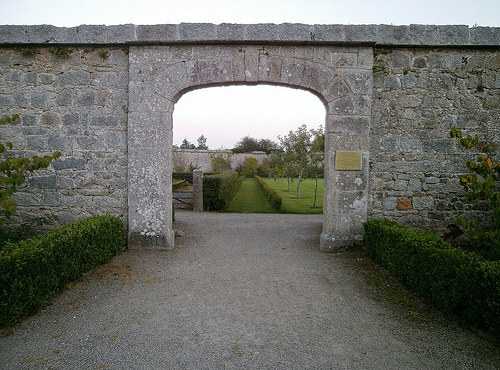 Some of the buildings on the grounds of Duckett’s Grove were demolished and the granite ashlar was used in the building of Bishop Foley National School on Station Road in Carlow town. For almost seventy years the buildings and grounds at Duckett’s Grove were largely neglected until purchased by Carlow County Council. Apart from the restoration work on the gardens and grounds, Carlow County Council has also installed various facilities in the stables to the rear of the house. These include, Tea Rooms and Ducketts Grove Design -Craft and Gift Emporium. Due to what were described as ‘unexplained phenomena’ a live broadcast of an episode of the paranormal television series Destination Truth was made from Duckett’s Grove on St Patrick’s day 2011. Killarney Paranormal Society has also carried out investigations at the castle. Carlow County Council took possession of Duckett’s Grove in the year 2005 On This Day.